In March 2013, Mira Mdivani, Corporate Immigration Attorney of The Mdivani Law Firm, was namedone of Ingram’s 50 Missourians You Should Know. The Kansas City Business Magazine declares that the named 50 Missourians come from all walks of life and each represent a strong fiber in the fabric of Missouri business and life. 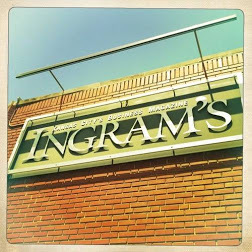 Ingram’s boasts that these are the people you should know because their accomplishments have made Missouri a better place to live, work, and do business. The 50 Missourians are at the fore of identifying the challenges the state faces, are in the front lines, doggedly pursuing the opportunities ahead of us, and their example should inspire all of us.